With the International Scooter Association’s World Championship event just around the corner, I think it is vitally important that I remind each and every one of you to stay tuned right here at the Lucky Scooters blog to find out the latest and greatest news and updates, regarding Extreme Barcelona and your favorite Lucky team riders. The event is officially scheduled to take place on the 18th and 19th of June, and we officially have four Lucky Scooters team riders, including Jon Marco Gaydos, Tanner Fox, Cody Flom, and Jackson McGuire competing for their opportunity to take home the world championship title. This event is essentially the ultimate showcasing of what is physically possible on a scooter, as well as, a demonstration of all of the different styles and approaches there are to freestyle scooter riding. The riders competing in Extreme Barcelona’s World Championship scooter event are hands down, some of the most consistent and fiercely competitive scooter riders on the planet, which is what makes this specific event so exhilarating to watch. It is certainly something that none of you will want to miss out on, so be sure to tune into the live feed during the men’s pro event or be sure to catch the full YouTube video release by Extreme Barcelona after the fact, which will be located on their YouTube channel. Extreme Barcelona is a miraculous extreme sports festival that showcases and celebrates all sorts of different extreme sports disciplines, including skateboarding, BMX, inline rollerblading, long boarding, and many more. All of these disciplines have their own respective competitive events, which take place on their own isolated skate parks and various courses. The freestyle scooter community has been very fortunate to be invited to participate in an event as popular as Extreme Barcelona for the last several years, and we can certainly contribute a fairly significant amount of our growth as a sport over the course of the last several years to their helping handing. Having the opportunity to showcase what we are capable of on scooters on such a massive platform these last several years has definitely expedited our progression, and allowed us to earn the recognition that we deserve from so many who otherwise would have never been exposed to our beloved sport. I don’t know about all of you guys, but I personally cannot wait for this year’s World Championship event to finally take place, and I also, cannot wait to see how much growth and progression all of these riders have experienced in the last year. I certainly know that each and every single one of our Lucky Scooters team riders who will be competing in the event have been working hard to prepare for the day to finally come, and now it is right around the corner. 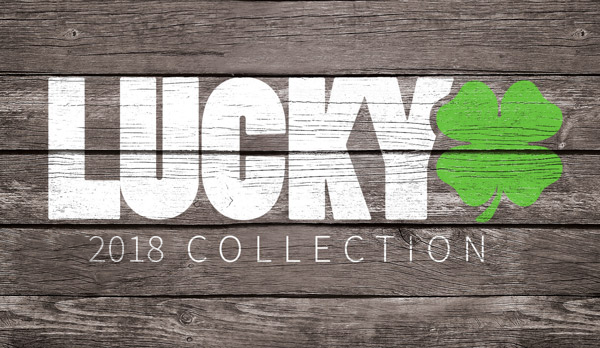 Be sure to check back in with us right here at Lucky Scooters after the World Championships to get the full scoop on the event, as well as, any other future Lucky Scooters related news and content.